Many scholars have argued that the Bhartiya Janata Party (BJP) swing in 16th Lok Sabha election was not due to anti-minority polarization but dissatisfaction with incumbent government. How far is it valid? However, media group, print and electronic, and right-wing economists have continuously shown their apathy towards the ill-treatment with Muslim community. They have been denying pan-India attack on minorities by calling it as the act of fringe elements. There insensitivity is basically derived from their theoretical approach, neo-liberalism, which forced them to insulate development from politics. They do not see the Rashtriya Swamsewak Sangh’s (RSS) agenda to maintain the Brahminical hegemony under the Hindu upper castes in the name of Hindu unity. Anti-minoritism is the kernel of this process. So far as RSS and Hindutva forces continue the support for neo-liberal market based ‘Development’, the intelligentsia prefers to look the other way. It is also another matter that this intelligentsia shares a certain degree of affinity and comfort with upper caste hegemonic cultural agenda of RSS and others as this overlaps well with its own sense of hegemony which is articulated through notions of ‘meritocracy’. 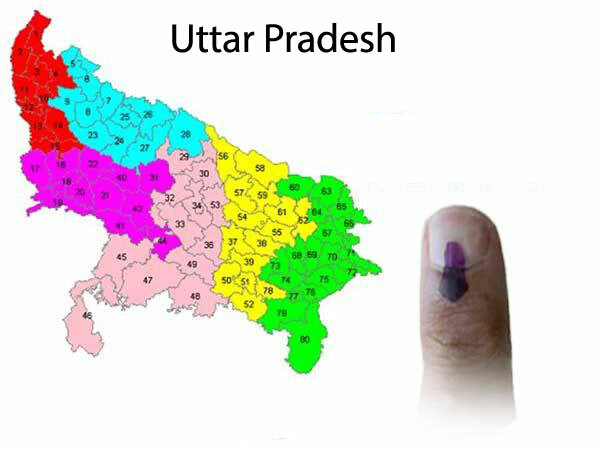 It is in this theoretical framework one has to see the recent election in Uttar Pradesh. Let us see how caste, religion and class interplay in the context of assembly election. First, let’s start with aspect of class and how money power[i] has undermined the democratic spirit of electoral process itself. All the political parties in state had preferred rich candidates, upper class. In fact, those parties who proclaim to be the vanguard of Dalit and Other Backward Castes (OBCs) have fielded richer candidates. BSP’s 83.8 percent candidates have assets worth one crore and above. 79.2 percent of Samajwadi Party’s candidate had assets one crore and above. BJP, the party with difference, followed the list with 78.9 percent of its candidates were Crorepati. The financial details of the winning candidates show that 322 (80 per cent) are Crorepati, up from 271 or 67 per cent of those who won the 2012 assembly elections in UP. The average of assets per MLA who won in the Uttar Pradesh 2017 assembly elections is Rs 5.92 crore whereas the average asset for each candidate who contested in the 2017 assembly elections was Rs 1.90 crore. In 2012, the average assets per MLA analyzed was Rs 3.36 crore. The informal logic put forth by the political parties for selecting richer candidates is his or her capacity to self-bear the financial burden during election. Political parties see the bigger role of money in the election process. Researchers have also argued that voters do see winnability of the richer candidates and their performance and engagement with local administration are in direct proportion to their wealth. According to Harry Stevens, across 689 constituencies in the assembly elections in Goa, Manipur, Punjab, Uttarakhand, and Uttar Pradesh, the wealthiest candidate won 33.5 percent of the time, compared to just 24.6 percent for the second wealthiest candidate and 17 percent for the third wealthiest. However, the average percent of winnability of richer candidates in Uttar Pradesh is 29.3 percent. That means there are other factors at work. What are those factors? Why upper class candidates of SP and BSP had lesser chance of winnability in 2017? The answer may be the BJP’s candidates’ agenda of development had top-up of Hindutva political campaign. One cannot see BJP’s development separate from their Hindutva politics. These two are inseparable. Depending on time and space RSS/BJP uses them separately for deception. It did not come as surprise when Yogi Adityanath (who now has become Chief Minister of UP) took centre stage to polarize the voters. Yogi campaigned in Western, Central and Eastern region of the state extensively with communal speeches. PM Modi’s speeches too helped in polarization through his communal rhetoric of shamshan vs kabristan and Eid vs Diwali. Modi and Yogi have complimented each other –in their meta-narrative of nationalism and development, with anti-Muslim polarization. The upper castes/class Hindutva politics has succeeded in UP over past few years due to the most of the backward and SCs castes supported BJP. Why? To understand this support one has to grasp BJP’s social principle of development. BJP’s slogan of development is “Sabka Saath, Sabka Vikas”. But, it is also ‘exclusive’ and should be read differently. This slogan, in Uttar Pradesh it means that Hindu OBCs and Dalit, except Yadav and Jatav for some time, should accept hegemonic leadership of upper castes, who should and shall control resources. They will distribute, after cornering major share, among the aspirant groups. In this model, upper castes will distribute resources to MBC and Dalit by excluding certain dominant castes such as Yadav and Jatav and religious minority, especially Muslim. ‘Sabka Saath Sabka Vikas’ of BJP is in a sense ‘social contract’ between hegemonic social caste and aspiring MBCs and Dalit. This contract has galvanized most of the poor voters from backward and lower castes in favor of BJP. Why political parties such as SP & BSP which arose from social justice movement, have failed to challenges BJP? This can be discussed at two levels – one in terms of electoral strategy and another is their role in delivery of social justice. The founders of social justice movements in India had aimed at annihilation of caste system as their mission with anti-Brahmanism as its centrality of political and social action. Phule’s book ‘Gulamgiri’ not only emboldened voice from the margins but also provided anti-Brahminical outlook as a political direction to the future generations. E.V.R Periyar had attacked core constructs of Hindu religion –its gods/goddess, rituals and mythological texts. On the other hand, Dr. B.R. Ambedkar, a Dalit from Maharashtra, has carried forward the work of Phule and excelled it. Although, crusaders against the caste system were belonging to different castes and legal categories but they all had common understanding about the source, means and mission. They identified laws of Manu as source of their problems, which manifest in form of caste system with four Varnas and untouchable. However, the two parties, SP and BSP, in UP which came up with the agenda of social justice indulged in power politics. Once political power became main objective, the mission of Phule, Ambedkar and Periyar of annihilation of caste was abandoned by both SP & BSP in practice. So much was the compulsion to grab power, that initial rhetoric of anti-Brahmanism and anti-caste of Bahujan Samaj Party (BSP) later gave way to compromises reflected in slogans such as “Haanthi Nahi Ganesh hai, Brahma, Vishnu, Mahesh Hai”. On the other hand, post-Mandal, OBCs emerged on political scene with ambition and in a very different avatar. They had no motive of change in caste based structures. SP, which has been representing these aspirations, emerged as a vanguard party a new dominant OBC caste namely Yadav. And, hence instead of strengthening the larger Bahujan politics, SP and BSP turned into political rivals. This weakened the opposition to BJP electorally as well as ideologically. On the strategic part, Akhilesh Yadav (AY) focused too much on the narrative of development, falling into the upper class/caste trap, without understanding that politics cannot be separated from it. BJP countered SP’s development campaign by caste and communal politics. BJP propagated that whatever “Kam” (work) that has taken place, Yadav and Muslims have appropriated all the benefits. Interestingly, RSS/BJP also propagated that whatever work has happened in the State, it is all because of Modi. AY was like an electricity transformer, whose role is to transfer electricity, rather than generating it. Secondly, despite SP-Congress alliance, both fielded 15 candidates against each other. This dented the image of alliance. Thirdly, family feud in SP, although bring AY as a strong leader, had disrupted organization at the local level. On the other hand, BSP committed two mistakes – overconfidence about the consolidation of Dalit votes and too much focus on Muslims. BSP thought that the recent attacks on Dalits in Gujarat and other places would lead to consolidation of Dalits in its favor. But, Dalit as homogeneous vote group is a myth. The major beneficiary of state resources has been Chamar/Jatav. The uneven development has forced various castes to look for various political options. Table 2 reveal intra-group gaps government job. They have better representation in government jobs as compared to Pasi community. Source: Compiled by author from Trivedi, Goli, Fahimudin & Kumar (2016), Vol. LI, No. 53, EPW. This has been used by BJP and SP as propaganda to make inroad among non-Jatav Dalits. The induction of R.K. Chaudhary, former BSP and a Pasi leader, into BJP government was part of that strategy. Krishna Raj, another leader from Pasi community from Uttar Pradesh, was inducted in BJP government in Union. In this context, it was a challenging task for Ms. Mayawati to consolidate other Dalit under her party banner in the election. The SCs voters, in reserved constituencies, behave differently than in non-reserved seats. In reserved seats intra-Dalits rivalry divides their votes. Source: ECI.nic.in. Figure in brackets are total reserved seats. * One SC seat won by AD. This time 2 seats were reserved for ST – Dudhi and Obra. Table 3 show that the BSP has been facing tough competition, from SP and BJP, in reserved constituencies of Uttar Pradesh. Also, the idea of Dalit-Muslim (DM) unity should and must move beyond practicality and immediate electoral success. At present, it was top-down approach where BSP allocated ticket to Ashraf Muslims. However, BSP lacked an important agents i.e. Pyrveekar or political fixers which brings votes from the community. Mayawati was relying on Muslim anxiety and anger against the SP and BJP for her electoral gain. On the other hand, at many places Dalit voters have voted to BJP candidates as they found Muslim candidates from BSP as offensive in the communally charged atmosphere. At the end, one can say that progressive forces have to engage with the meta-narrative and micro-level issues where RSS has hegemonic presence. Nationalism, Hindutva, development and MBC and Dalit aspiration needs a relook. Currently, RSS has successfully mainstreamed the fringe. RSS has been successful in transforming nationalism into Hindu nationalism, development into Hindutva model of development and casteism into “good” caste system. Hence, a two pronged strategy has to be adopted. First, progressive forces must attack neo-liberal model of development which put forth fight for the margin, rather fight from the margin by artificially creating scarcity of resources. Secondly, progressive forces must include annihilation of caste in their agenda and start afresh from where Ambedkar left. * Excludes J&K in 1991-92. Elections were held separately for States of Assam & Punjab in 1985.